Description: The Phantoms sandals were made for long weekends. If you're a person who can pack unlimited fun into three days than you need an athletic sandal that can keep up. That's the Reef Phantom guy's sandal. It features a soft, comfortable, water-friendly synthetic nubuck upper with air mesh lining, and a contoured injection molded EVA footbed and outsole with anatomical arch support. 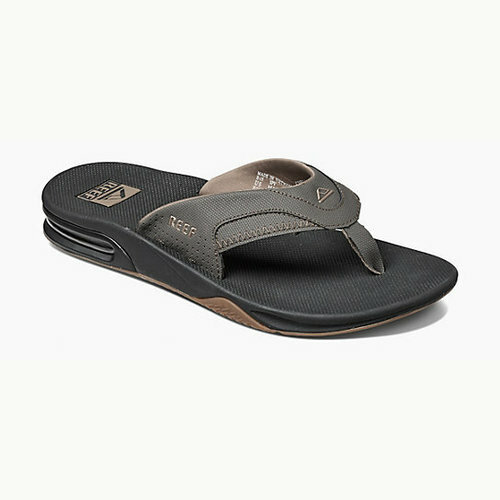 In the water and out, these sandals are durable with fantastic grip to keep you on your feet all weekend long. 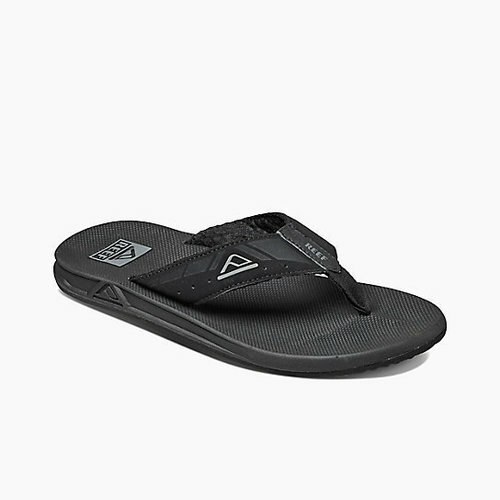 Description: This is the sandal of legendary three-time world champ and perennial pro surfing powerhouse, Mick Fanning the ultimate athletic sandal of comfortable water-friendly synthetic nubuck upper. Mick relies on the contoured injection molded EVA footbed with anatomical arch support and full 360-degree heel airbag enclosed in soft poly for good reason. And in the fun department, it also features a church key built into the footbed to open your “soda” after a surf or hanging at the pool. Reef Icon Herringbone rubber outsole. The sandals of a champion.